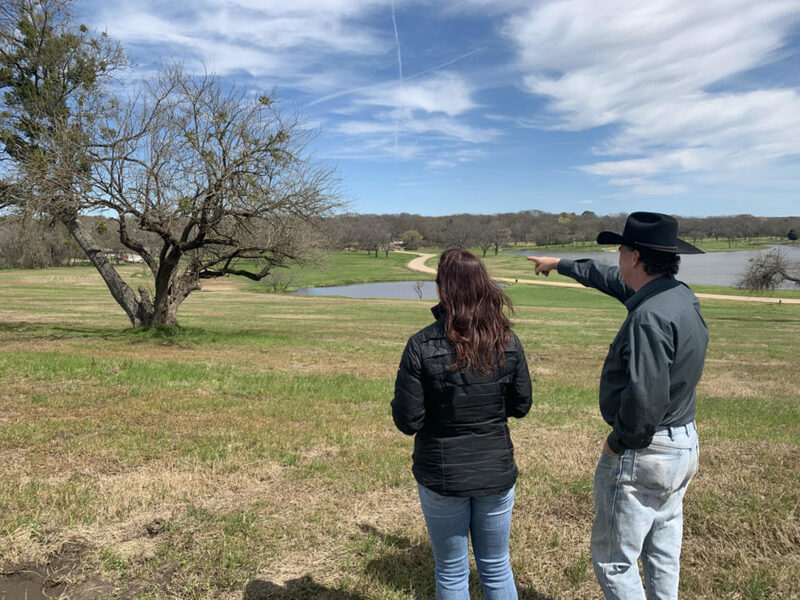 embers of radio station KCKL and Beacon Hill’s onsite Sales Team met with Wildlife Biologist Mark McDonald today for a site-walk and educational tour in preparation for this years’ Nature Program at the Community. Although Beacon Hill on Cedar Creek Lake offers luxury lakefront water-sports and fishing amenities to their homeowners, there is also a large nature trail complete with bird watching and prairie restoration areas available for non-boaters who wish to enjoy this lifestyle as well. 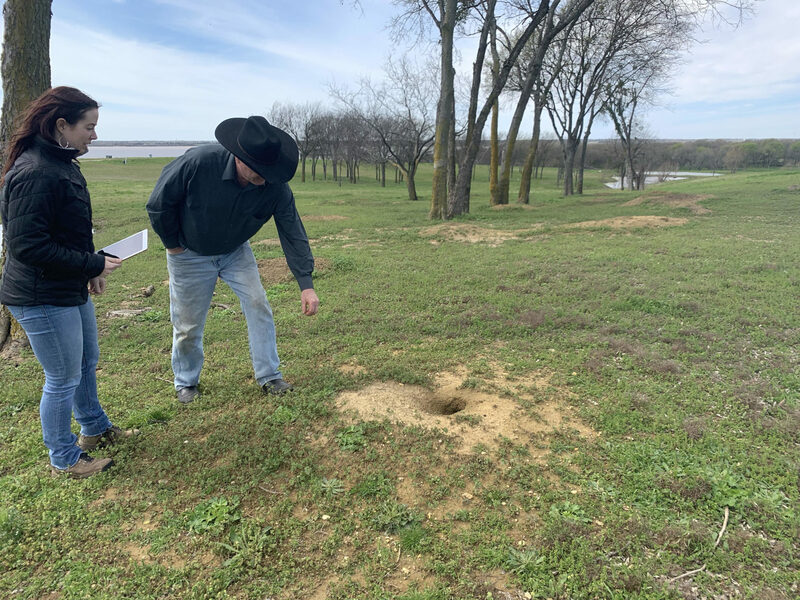 For more information on the community or to set up a personal tour with Wildlife Biologist Mark McDonald please contact the Sales Team at 903-498-LAKE. 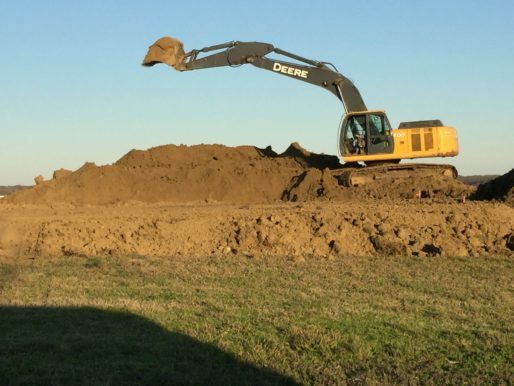 The two-story lake home, being built by SUR Custom Homes of Dallas for the Turley Family of Addison, will feature amazing sunrise views of Cedar Creek Lake. For more information on our Preferred Homebuilders and Community updates, please visit us at liveatbeaconhill.com. We are here at the 2019 Winter Boat Expo at Dallas Market Hall. Come see us at Booth #353 for a chance to win 1 of 2 Fishing Tours by our friends at Kings Creek Adventures and East TX Bowfishing Adventures. Enter to win a One-Year Membership at the exclusive Beacon Hill Marina Club from today through Feb. 10th, during expo hours. Lots to see here at the #2019BoatExpo at #dallasmarkethall . . Stop by Beacon Hill booth 353 to enter our drawing for a chance to win a one year membership to the Beacon Hill Marina Club! eacon Hill hosted another groundbreaking event this afternoon with landowner Shannon Turley and her builder, SUR Custom Homes of Dallas. 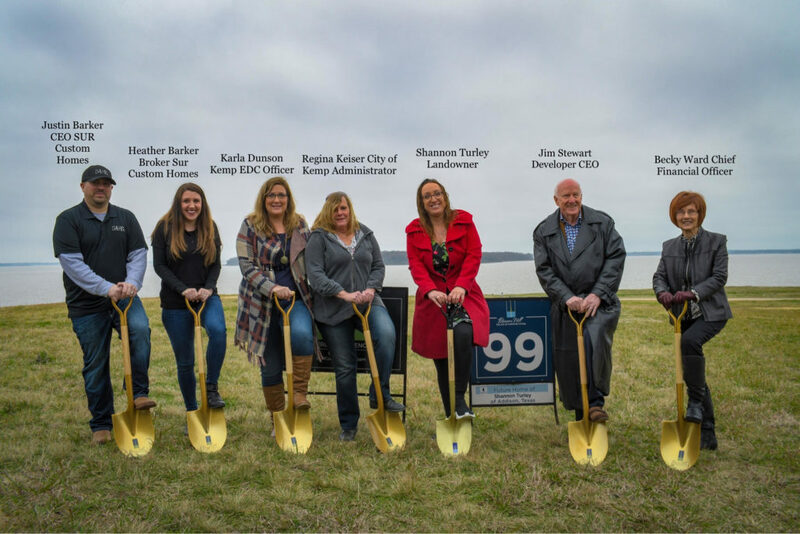 The City of Kemp and members of the Beacon Hill team welcomed Shannon and her family as the latest new landowner to break ground on construction of an amazing lake home design. “We welcome Shannon, her friends and family to Blue Heron Drive on our east-facing lakeview homesite with views of our Aquatic Center and Big Island off to her south.” quotes Joe McGinley, Beacon Hill’s Executive Vice President of Sales and Marketing. Along with the growing list of homeowner, Shannon has taken advantage of Beacon Hill’s commutable location and pre-construction pricing. Our latest purchasers are enjoying the close proximity to Dallas and the option of residing here full-time or on weekends.” says McGinley. Beacon Hill on Cedar Creek Lake still has a selection of Lakeview, Interior Lake and Waterfront 1/2 acre Homesites available, priced from the 140’s. 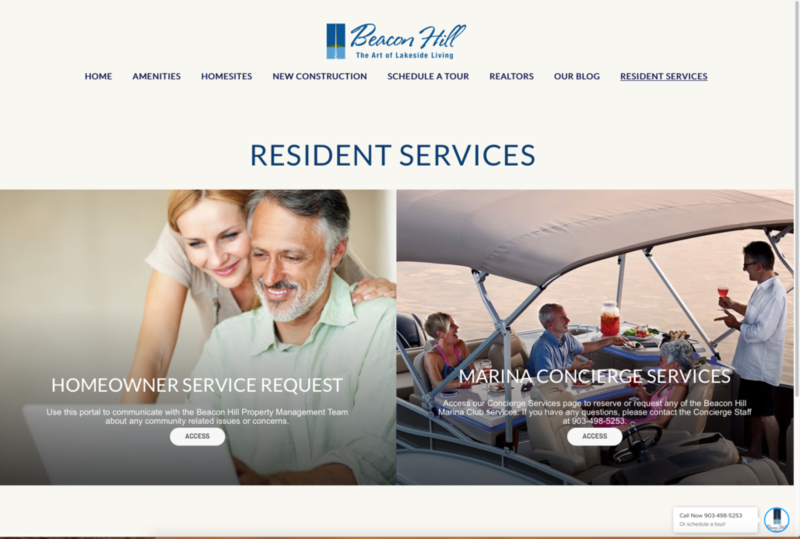 As our newest landowners are finalizing their new lake houses and beginning to move into our community, the Beacon Hill Property Management Team has launched a new feature on liveatbeaconhill.com. Our Resident Services feature now enables homeowners the ability to directly communicate any community concerns with the Beacon Hill Property Management Team and our Senior Management Staff. Beacon Hill, which has over 140 acres of waterfront features and amenities, is maintained with great pride and effort from our round-the-clock property management team. Our homeowners can now assist us with this process through this new Online Portal. At the latter part of 2018, Beacon Hill also launched Marina Concierge Services where homeowners may reserve or request any of the Beacon Hill Marina Club services. 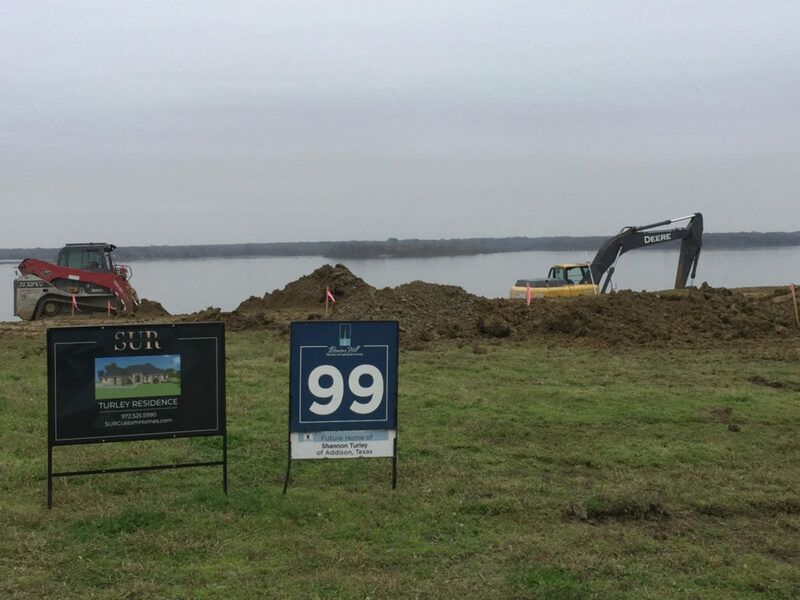 “We are delighted to provide these additional tools to our newest residents as they prepare to move into our 140 acre lakefront community”, quotes Joe McGinley, Executive Marketing and Sales Director of Beacon Hill on Cedar Creek Lake. “Our community allows full-time occupancy, so we anticipate our Homeowners using all of our amenities and gated entryways as they commute to the Dallas Metroplex, which is the shortest distance from our great lake”, says McGinley. Beacon Hill will continue to update our services and amenities as this beautiful waterfront community continues to become home for new residents. Please visit us at www.liveatbeaconhill.com for more information or to secure your future homesite. 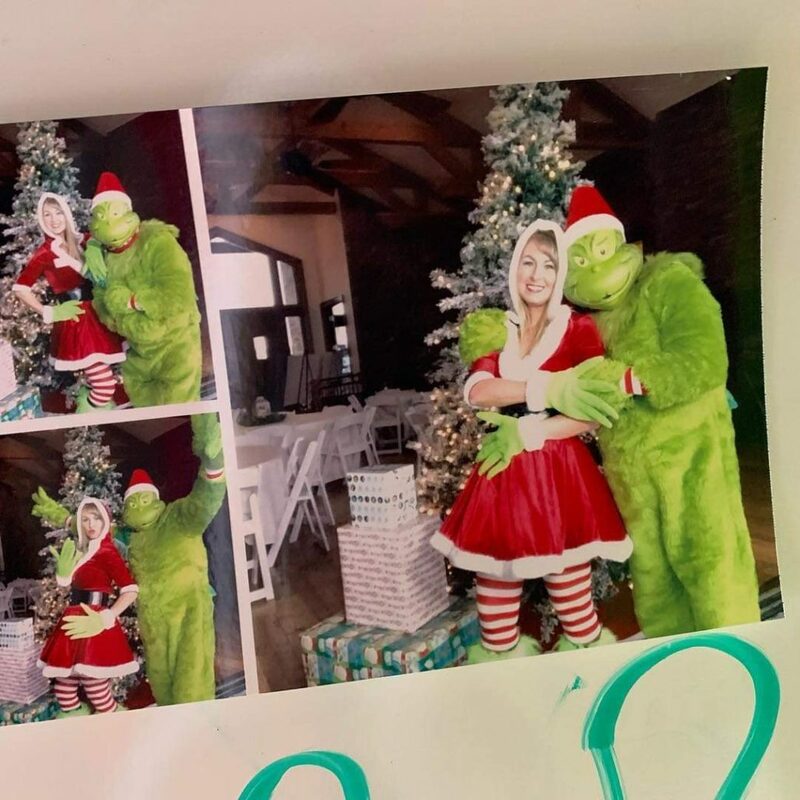 On behalf of our entire staff and management team here at Beacon Hill on Cedar Creek Lake we would like to thank the Henderson County Board of Realtors for having their annual Christmas Extravaganza at one of our model homes last evening – another great event hosted by Jerry Scott (Grinch pictured above) and friends. We want to acknowledge this amazing group of area Real Estate Professionals for visiting our community and enjoying this great event. A special thanks to HCBOR’s Anne Mix for taking the helm with decorating as well as managing the food and beverage operations before, during and after the event. 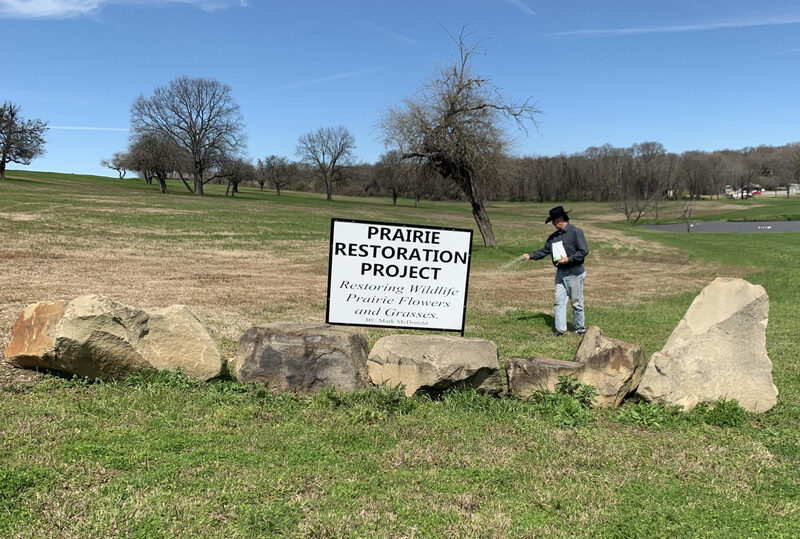 We look forward to continued success with this group and our community on Cedar Creek Lake. 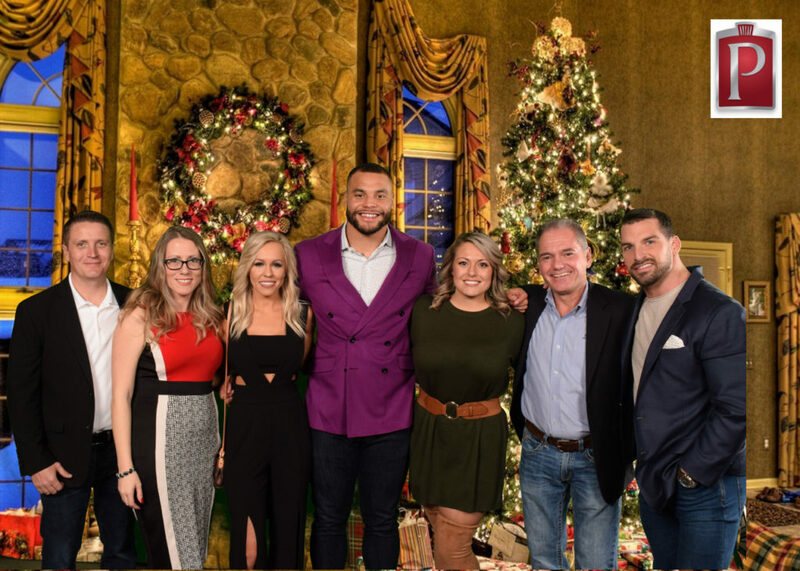 Dak Prescott was featured at the Monday night taping of Inside The Huddle on December 17. This week’s taping was held in Addison at fellow sponsors, Premier Autos in Dallas. 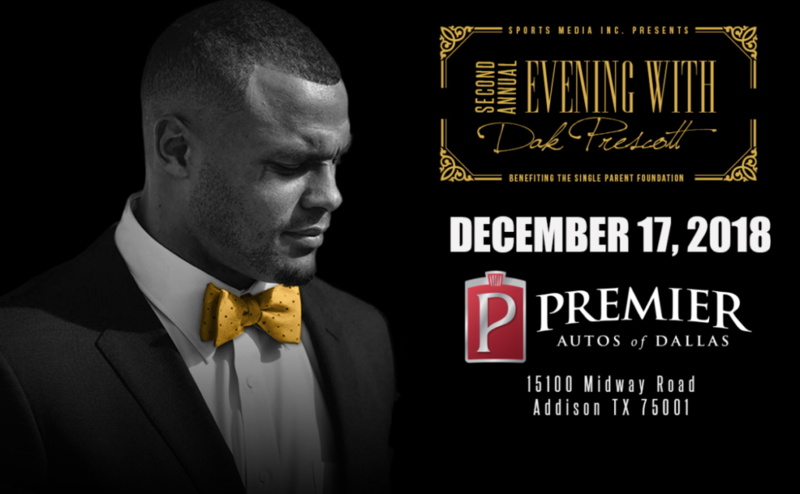 During his interview, Prescott talked about his charity, The Single Parent Foundation, which helps residents currently living in the immediate Dallas/Ft. Worth Metroplex. 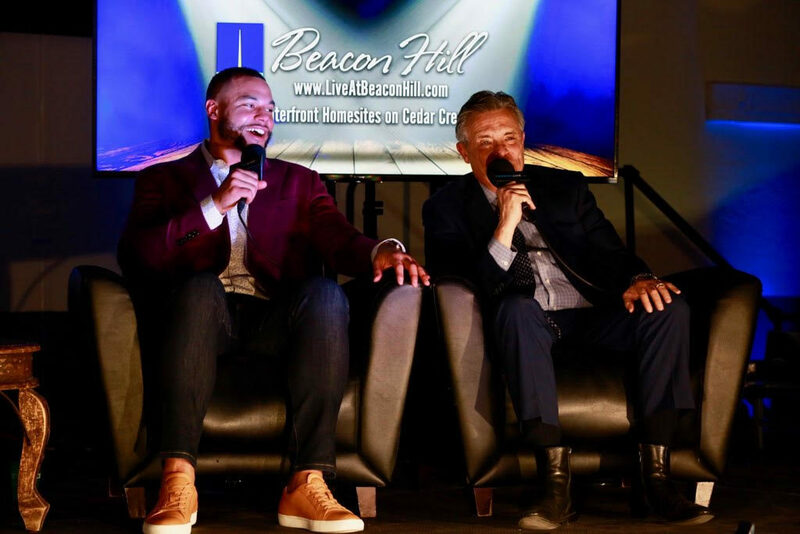 Beacon Hill continues to support newsworthy player events. We are delighted to be a part of 750 donors, sponsors and contributors for this worthwhile endeavor. Beacon Hill will continue to support our Dallas Cowboy players and their respective charities which benefit many in the DFW area. We also thank Dak Prescott for spending some time with our team and we wish him and his teammates success for the rest of the season. The Beacon Hill Event Team was present for another taping of Inside The Huddle at the House of Blues Dallas Monday, December 10th. 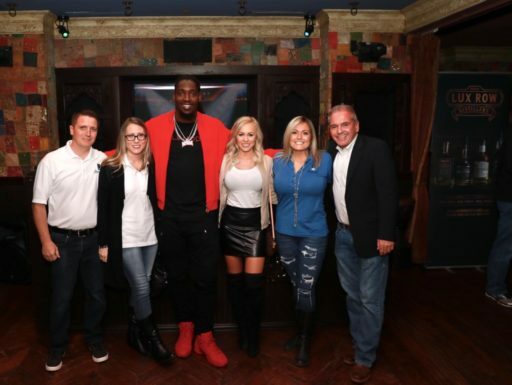 The show featured Dallas Cowboy Defensive End Superstar, Demarcus Lawrence. “We enjoy being a part of this amazing telecast with some of the most prominent Dallas area co-sponsors”, quotes Joe McGinley, Beacon Hill’s VP of Sales and Marketing. “We also enjoy spending some time with these players at each show and look forward to the opportunity to promote our fine lakefront community” says McGinley. Please tune in to Inside the Huddle on DFW CBS 21 Sundays at 9:00 am. 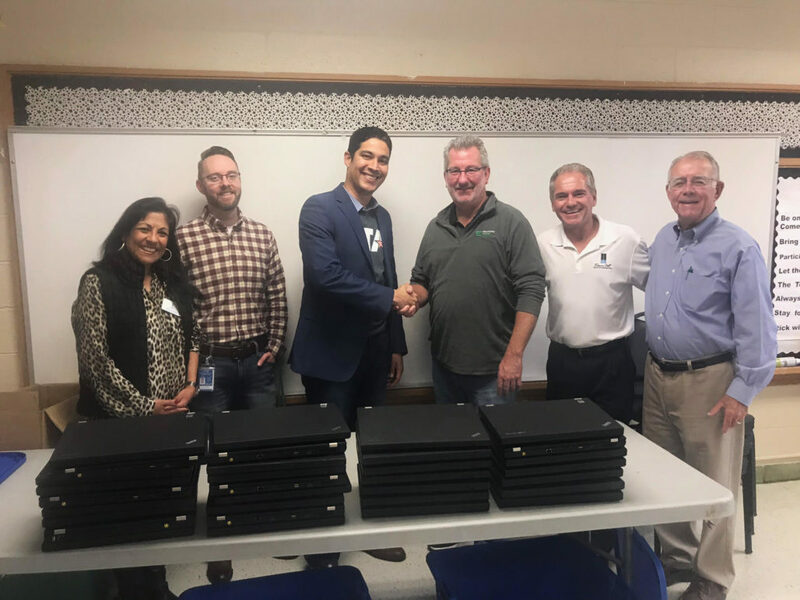 In conjunction with Tackle Tomorrow, Beacon Hill joined Electronic Access Foundation Friday, November 30th for the donation of several laptops to Catch Up & Read. This non-profit, community-funded organization is transforming the lives of at-risk elementary students in DISD by equipping them to read on grade level by 3rd grade. As always, Beacon Hill is humbled to be a part of the work that Tackle Tomorrow is dedicated to. “On behalf of our entire staff and management team here at Beacon Hill, we continue to support the efforts of Tackle Tomorrow and we give great credit to the hard work and dedication of Charles Haley and Bob Bowie in making this charity what it is today – a success.” quotes Joe McGinley, Executive Vice President, Beacon Hill on Cedar Creek Lake. Pictured above, from left to right: Terry Averyt, Director of Programs – Catch Up & Read. Bryan Gelbke, Assistant Principal – Stevens Park Elementary School. Dr. Roberto Gonzalez, Principal – Stevens Park Elementary School. Greg Campbell, Director of Operations – Electronic Access Foundation. Joe McGinley, Executive Vice President – Beacon Hill on Cedar Creek Lake. Bob Bowie, Co-Founder – Tackle Tomorrow. As promised, here is the airing of Monday night’s taping of Inside the Huddle – A Sports Media Production with via Sports Media YouTube Channel. Our Kemp Yellowjackets were LIVE with Beacon Hill during this informative interview highlighting Cowboy Player, Leighton Vander Esch.